More of us live in big cities and on coasts. Pollution continues to be put into our atmosphere and in our oceans. Yes, our world is changing... but we have the power to make a difference. © abcphotosystem Rising ocean temperatures and ocean acidification will have a dramatic effect on the beautiful coral reefs currently living in our oceans. Oceans, which cover 70% of the surface of the Earth and form the largest habitat on the planet, face increasing stress as a result of human activities. Oceans absorb between half and three-quarters of the greenhouse gases that we put into the atmosphere each year. In doing this, the oceans have slowed global warming and climate change. But, there has been a cost. When carbon dioxide from greenhouse gases dissolves in seawater, it causes the pH level of our oceans to decrease. Seawater has become more acidic (its pH has decreased by 0.1) since the beginning of the industrial era and it will continue to acidify during the 21st century. Ocean acidification is expected to affect ocean ecosystems, such as coral reefs, and the living organisms that inhabit those ecosystems. It will change ocean life and its food chain – and in turn our fish supplies. © Songquan Deng With a population over 20 million people, Shanghai, China is one of the world's biggest megacities. By 2050 it is expected that 2 out of every 3 people will be living in urban areas as growing numbers of people move to cities in search of jobs and opportunities. Because many cities – including megacities with populations of more than 10 million – are built along coastlines, they are at exposed to tropical storms. Hurricane Sandy hitting New York in 2012 is an example of the potential damage tropical storms can cause to coastal cities. Congestion and pollution, and their effects on our health, are other major issues facing urban populations. The WMO urban meteorology programme promotes ways to deal with multiple hazards facing cities while many of WMO Members provide pollution advice to governments who can then turn around and use this information to issue health warnings and traffic restrictions. The Earth has a natural greenhouse effect that is vital to life. Without it, the Earth’s average temperature would be a chilly -18°Celsius. The natural greenhouse effect is due to trace amounts of water vapour (H2O), carbon dioxide (CO2), methane (CH4) and nitrous oxide (N2O) in the atmosphere. These gases let solar radiation reach the Earth’s surface but absorb infrared radiation emitted by the Earth. This leads to the heating of the surface of the planet to a mean surface temperature that is 33°Celius greater than it would be in the absence of the natural greenhouse effect. It is important to distinguish between the “natural” greenhouse effect and the “enhanced” greenhouse effect. The enhanced greenhouse effect refers to the heating of the planet resulting from increased concentrations of greenhouse gases induced by human activities. This enhanced effect is most often referred to as climate change or global warming. The main greenhouse gases whose concentrations are rising are carbon dioxide, methane, nitrous oxide, hydrochlorofluorocarbons (HCFCs), hydrofluorocarbons (HFCs) and ozone in the lower atmosphere. The Global Atmosphere Watch (GAW) Programme of WMO monitors, analyses and publishes greenhouse gas data collected by fifty countries around the globe from the High Arctic to the South Pole. Globally averaged concentration of carbon dioxide in the atmosphere reached the symbolic and significant milestone of 400 parts per million for the first time in 2015 and surged again to new records in 2016 on the back of the very powerful El Niño event, according to the annual Greenhouse Gas Bulletin published by WMO. CO2 levels had previously reached the 400 ppm barrier for certain months of the year and in certain locations but never before on a global average basis for the entire year. The longest-established greenhouse gas monitoring station at Mauna Loa, Hawaii, predicts that CO2 concentrations will stay above 400 ppm for the whole of 2016 and not dip below that level for many generations. The growth spurt in CO2 was fuelled by the El Niño event, which started in 2015 and had a strong impact well into 2016. This triggered droughts in tropical regions and reduced the capacity of “sinks” like forests, vegetation and the oceans to absorb CO2. These sinks currently absorb about half of CO2 emissions but there is a risk that they may become saturated, which would increase the fraction of emitted carbon dioxide which stays in the atmosphere, according to the Greenhouse Gas Bulletin. Between 1990 and 2015 there was a 37% increase in radiaditve forcing – the warming effect on our climate – because of long-lived greenhouse gases such as carbon dioxide, methane and nitrous oxide (N2O) from industrial, agricultural and domestic activities. WMO and its partners in the Global Atmosphere Watch (GAW) are developing a new approach to tracking greenhouse gas emissions called the Integrated Global Greenhouse Gas Information System (IG3IS). This new system aims to provide information that can help nations to track the progress toward implementation of their national emission pledges, improve national emission reporting and inform additional mitigation actions. By providing an additional way of identifying and estimating urban and national emissions, this approach supports the UN Framework Convention on Climate Change (UNFCCC) and its Paris Agreement as well as seeks to empower policymakers to take more effective action on mitigation. 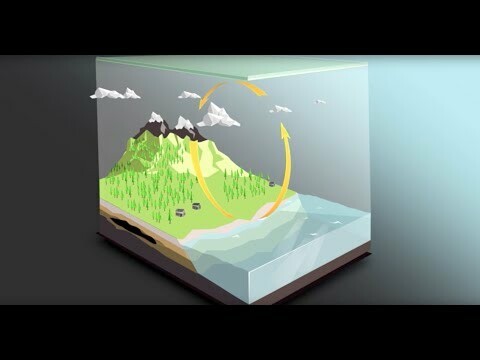 Measuring national emissions and Monitoring the atmosphere to reduce urban greenhouse gas emissions – Videos describing how high-resolution monitoring of the atmosphere combined with modelling can now be used to more accurately estimate greenhouse gas emissions in order to support decision-making.